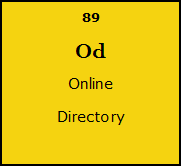 We have several packages in regard to Directory listing which is our core service. Our listings are affordable to every purse, with payment facilities and discounts, enhanced features, mobile applications, payment gateways, privilege business relationships with our partners. We aim to make Mauritius Yellow Pages the leading business directory in the Indian Ocean. A listing will make you more visible to your customers, with your business name, mission and vision statement, phone numbers, emails, picture galleries, social media links, google map to locate your business and so on. We will continue to update our features, we will keep on improving them to give affordable services whether you are a Small, Medium or Large business. We have several plans which have been specially designed, Premium, Premium +, Classic, Classic +.